Free Night (BRG): Intercontinental New York Barclay! This information is current as of 5:45 Pacific Time. The lower rate may already have been pulled and I take no liability if your claim is denied. I just got off the IHG Best Rate Guarantee Phone Line, and I just got a free night for the Intercontinental New York Barclay from their BRG. You can see how the BRG works here. I saw this first on The Best Rate Guarantee Blog, so a big HT to them and consider using their affiliate links if you want to try this. Dates are throughout January 2014 (and possibly others as well. As an example January 4th is a possible date. 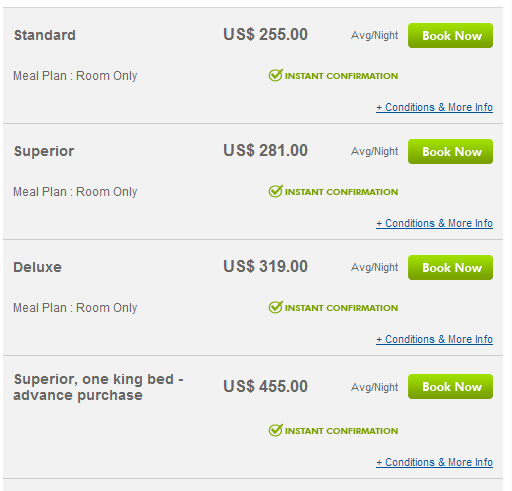 A deluxe rate prices at $319 on hoteltravel.com. This is lower than both the Best Flexible Rate (which is what I originally booked) and the Advance Purchase Rate (which is non-refundable), which are both above $400. You can check that here. The images are for the sample date 1/4. Note that this the claim works for the deluxe room and my claim was with the category. I have not (and will not be) trying the other categories. What I did was book the Deluxe Room best flexible rate (which is refundable). I called their line and the agent said that the claim was valid. 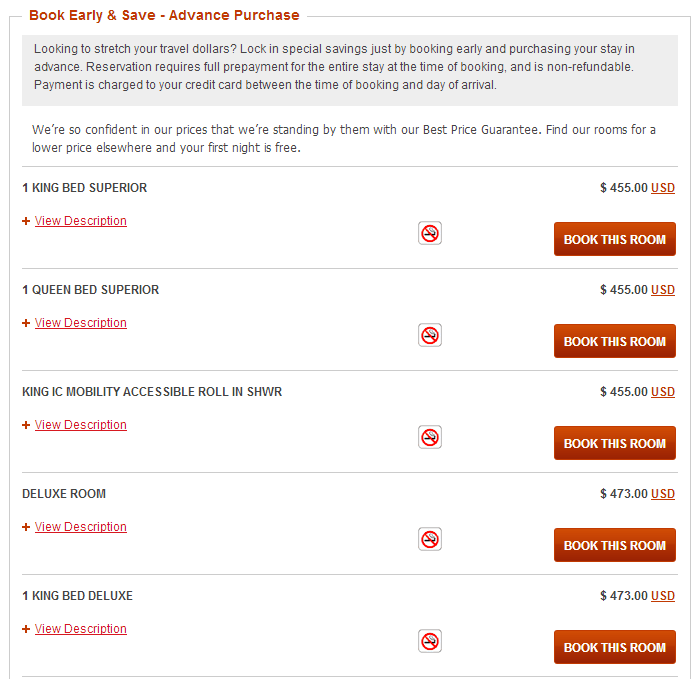 In most cases, however, it’s likely that you need to book the lowest rate on the search from ihg.com. Make sure that both rates price in the same currency (in this case USD). Note that I take NO LIABILITY if you are stuck with a prepaid non-refundable rate. This BRG is meant for people who already have travel plans and find lower rates on competing websites. Please don’t go overboard with this. This rate is also likely to get pulled soon as I was just on the phone with their line – make sure the YOU CHECK THE RATES AND RULES with great detail if you book. Also, I would say that this is not for people who have not done BRG’s before. If you haven’t done one, make sure you read the rules and the giant FT thread to prepare yourself if you do get rejected. I just thought this might be useful to pass along.